Motorcycle accidents often cause the most catastrophic vehicle crash results because the riders have no protection when an accident occurs. After a collision, the operator and any passengers immediately collide with the ground. There’s no hood, side, or rear of the car to protect them. 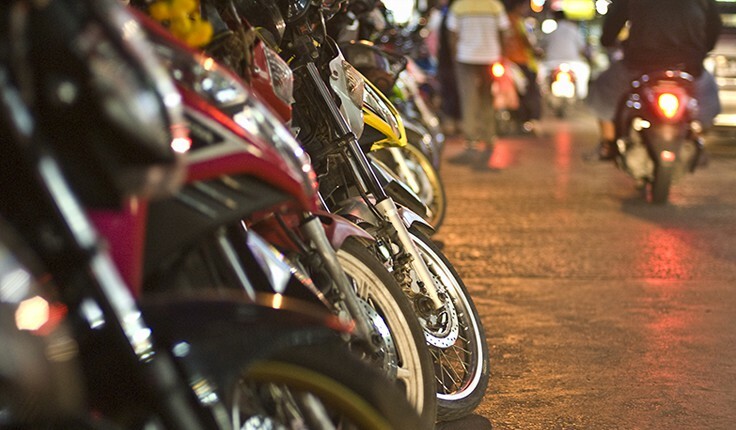 Motorcycle accidents are especially common in Florida because the warm weather means motorcycles are on the road year-round. According to the National Highway Traffic Safety Administration, Florida is the number one state for motorcycle fatalities. Even though motorcycle riders in Florida account for seven percent of the vehicles on the road, motorcycle fatalities account for 19 percent of the deaths. At Yeboah Law Group, we understand how devastating motorcycle crashes can be. Our Fort Lauderdale motorcycle accident attorneys bring wrongful death claims on behalf of families who have lost a loved one. We demand full compensation and a large pain and suffering award when motorcycle accidents leave the rider with a variety of injuries, including brain trauma, spinal cord injuries, and broken bones. Our lawyers bring claims in both state and federal court. We pursue verdicts even when the drivers are from out of the state. Car and truck drivers are not used to looking out for motorcycles. Drivers of other vehicles often fail to properly gauge the speed of a motorcycle and the distance the motorcycle needs to maneuver. Driver distraction, such as talking on a cellphone or texting while driving, is a leading cause of motorcycle accidents. Motorcycle accidents can also happen because of bad weather conditions, potholes and other road defects, and from other causes. When motorcycle accidents happen, Yeboah Law Group can bring claims against the drivers and owners of the vehicles involved. If the roads are poorly designed, we also bring legal claims against the state and county governments for failure to properly design or maintain the roads. We also bring claims against motorcycle manufacturers, parts manufacturers, distributors, and sellers if the motorcycle was not designed properly or made the right way. We hold accountable the makers and suppliers for cutting corners and putting profits ahead of your safety. Florida motorcycle riders, ages 21 and over, are not required to wear a helmet, provided they have $10,000 in medical payment insurance. Motorcycle owners should know that $10,000 does not cover any pain and suffering and is often just a fraction of the medical bills. Just one night in a hospital can easily run more than $50,000, and multiple nights are more than even the rich can afford. Riders under 21 must still wear a helmet. Our Fort Lauderdale motorcycle accident lawyers explain how the failure to wear a helmet can affect a recovery against car owners and other responsible parties. Don’t delay in seeing a lawyer. Motorcycle accident cases work best when we can investigate the scene of the accident, the motorcycle, and the other vehicles. We need to speak with witnesses, including the police, while their memories are fresh. If a product defect caused the accident, it’s important to begin the case promptly so you can get justice and so others will learn of the defect. Our Miami-Dade motorcycle accident lawyers work tirelessly to prove fault and to get you compensation for your medical loss, lost wages, pain and suffering, scarring, and any other damages. To schedule a free consultation with Yeboah Law Group today, please call 1-800-TELL-SAM or fill out our contact form.